This salad originates from Tuscan region of Italy. Popular in summers, it is inexpensive and very filling. If you are a fan of basil like me, you are sure to love it! I love this salad. Cold and crunchy texture is perfect for summers and ideal way to use bread and ripe tomatoes. It's a salad but can be served as a meal which is also light on your waistline. I eat it quite often for my lunch. You will be surprised to know that basil is originally native to India and family member of our holy plant "Tulsi". Used extensively in Italian cuisine, it came to Italy from India via spice route during ancient times. Apart from being a indispensable herb in tomato sauce, it's lovely as a pesto sauce drizzled over pasta. Cut 2 slices of bread into small cubes. Arrange cubes on a baking tray and bake in a preheated oven at 200 degrees Celsius for about 10 mins or until browned. You can make more and store in an airtight container and use in salads and soups. Place basil leaves, cucumber,onion, croutons, olives and onion in a bowl. Season with salt and pepper. As soon as salt is added, tomato starts oozing it's delicious water. 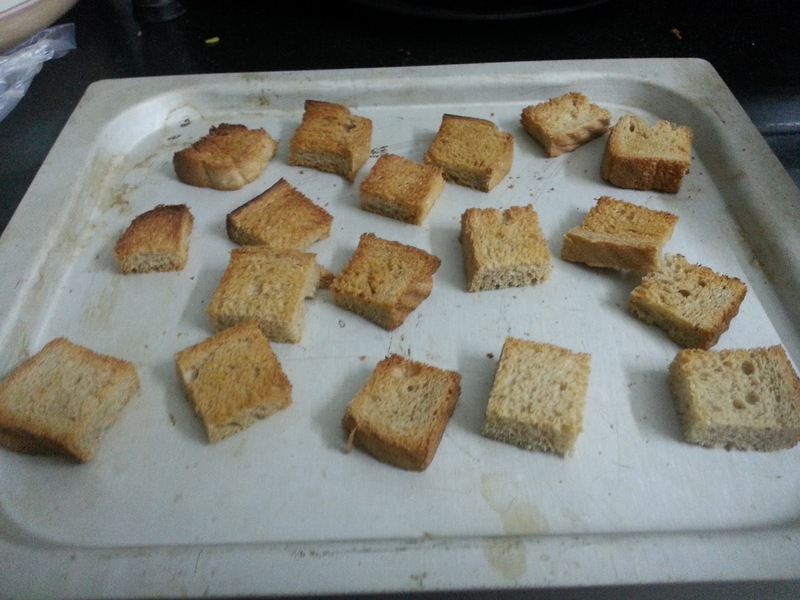 Toast bread on griddle (tava) or toaster if you don't have oven. Add garlic if you like it's raw flavour. If you stay in a big city, basil leaves are easily available with vegetable mongers or gourmet stores. Basil is best stored in air tight container and will last for 2-3 days . 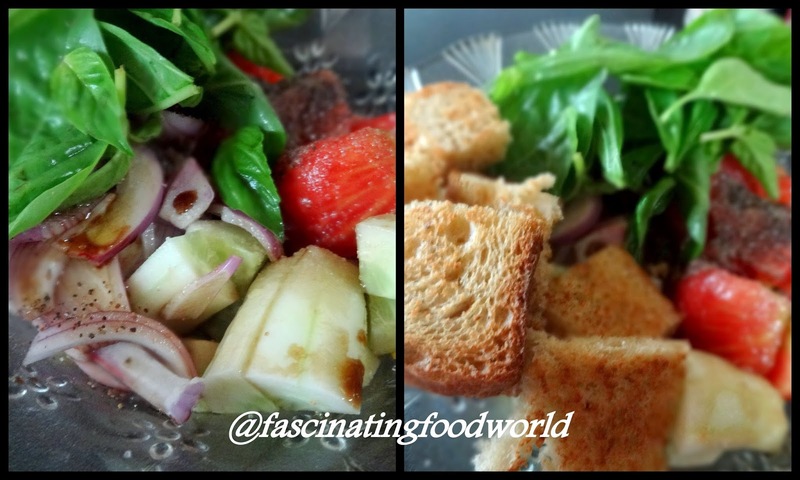 Let the salad rest in refrigerator for a while so that bread soaks up goodness of olive oil, balsamic and tomato juice.